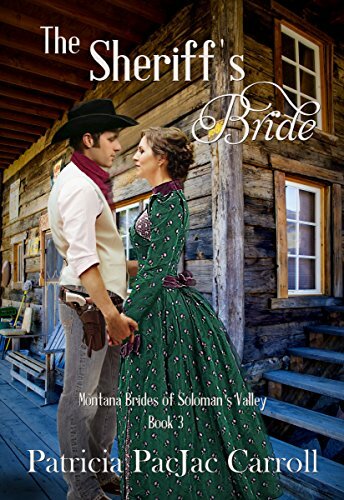 Welcome back to Solomon's Valley in Montana for a story about fathers and sons and mothers and daughters against the backdrop of 1883 Montana. Sheriff Levi Smith came to Shirleyville but was too late to settle with the past. Then circumstances force him to reveal the reason he'd come to town and risk upsetting the feuding families all over again. Somewhere along the way, he noticed Eve, and she took his attention not to mention his heart. Eve longed to be loved. Oh, she had a mother all right, but Mabel had given her strict orders to never mention to anyone that she was Eve's mother. Sheriff Levi catches Eve's attention, but Bridgette Howard has her eyes on Levi, too. Desperate, Eve turns to Walters and thinks he might be the answer. He's older but rich. either way, he offers a way out. Add to the mix Rachel and the judge's children and their shenanigans, the feuding families, and a killing in the town and Levi is busy. Although The Sheriff's Bride is a stand alone book, you might also want to read The Judge's Bride and Zebulon's Bride. ****And I thought the series was done, but Bridgette informed me there will be another book. Next year the series continues with Bridgette's Man. Sheriff Levi Smith stuffed the worn letter in his pocket while at the same time trying to shove away the regret that haunted him. The letter was the reason he’d come to Shirleyville over a year ago, and even then, he’d been too late. He reminded himself that the past was usually best left behind especially when the reason he’d come was already dead. Levi stepped out of the jail and wiped sweat from his brow. With a wary eye, he looked up and down the dusty street of the small Montana town to get a feel for what the day would bring. The weather was warm and promising to get hotter. A look at The Gilded Lady Saloon and seeing the Murphy’s wagon outside signaled trouble was possible. The good news was he didn’t see Bridgette Howard anywhere. He hoped she’d stay in the dress shop and leave him alone. She was the one pushing his past into the future. Sooner or later, he was going to have to tell the judge the real reason for his coming to Shirleyville. Fending off Bridgette’s advances was taking too much time, but right now, his business of the day was to meet the train that carried Judge Taggart and his wife Rachel. They were returning from their honeymoon in Europe. Levi was glad that they had finally taken the trip as they had postponed it for nearly a year to get the ten children settled in their new home. That Shirleyville now had a train depot made things convenient. Unfortunately, gold seekers were flooding in and causing more trouble. Men on the raw edge of despair flocked to the area in search of gold while never considering it might take hard work. Some would go to the mines to work for the big companies and eke an existence from the rock. Many gave up looking for gold honestly and took up with the outlaws hiding in the canyons south of town. Levi pulled out his pocket watch and flipped the lid just as the train blasted a whistle. He ran to the station and hoped Bridgette wouldn’t find him. Now that the feud between the Howards and the Murphys had settled down, Bridgette was the one causing trouble. Levi wasn’t sure who to be sorrier for, the girl or the Murphys. According to her, they treated her like a slave, but when he asked Ben Murphy, he reported that she acted like a queen, and they were the ones waiting on her. Levi figured the truth played out somewhere between the two drastic views. He turned the corner to the depot and ran up the stairs just as the train pulled into the station and stopped. The train continued to chug spewing smoke and steam as the conductor stepped down and helped the passengers disembark. A couple of men in business suits left the train. Farther down the tracks, two rough-looking cowboys jumped from a freight car. By the furtive looks they gave him, he’d have to keep an eye on their whereabouts and who, if anyone, they met with. Since arriving, Levi had worked to make Shirleyville a peaceful town. But there were rumblings of trouble brewing among the store owners. Nothing specific, but enough that Levi kept a sharp eye on newcomers. Levi stepped aside as a few families disembarked. He tipped his hat and nodded. Their faces shone fresh with the hope for a new life. He hoped it worked out for them. And then he hoped they weren’t those looking to come and pick gold nuggets off the ground. Montana was a good place, but it required hard work to make a living here. Finally, the distinguished-looking Judge exited, waited, and helped Rachel step down to the platform. She was dressed in a frilly kind of hat, fancy dress, and shoes. She even had a parasol that matched her hat. The trip and being married to the judge had done her good. When Levi had first come to Shirleyville, she’d looked tired and worn. Now, she looked fresh and vibrant. Levi held out his hand. “Glad to see you, Judge. You two look like you enjoyed the trip.” He hoped they had as he had news to give them that might not make them all too happy to be back. Patricia PacJac Carroll~ I am a writer, Christian first, and blessed beyond my imagination. I live in the Dallas-Ft Worth area of Texas with my wonderful treasure of a husband, my spoiled dog, Jacs, and my awesome son, Josh. Did I say I was blessed? The PacJac is from my initials and my husbands. I wouldn't be able to write if it weren't for him. I love adventure and the open road. The stories of the western era have always been a favorite of mine. 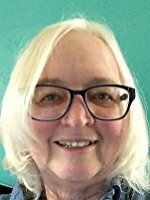 I enjoy writing, and my goal is to write stories readers will enjoy.